Extreame Savings Item! 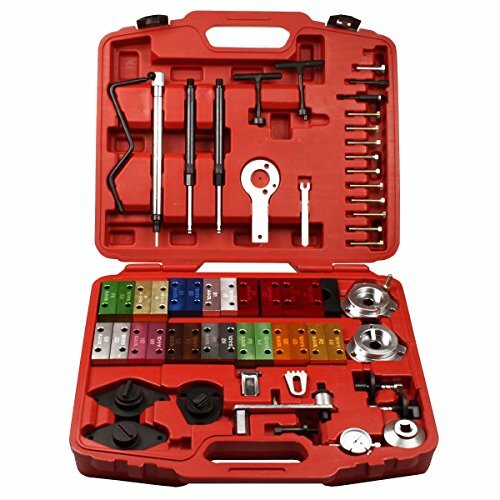 Save 48% on the Ctool 63PCS Fiat/Alfa/Lancia Engine Timing Tool Kit by Ctool at Lazaranda Dallas. MPN: WO367. Hurry! Limited time offer. Offer valid only while supplies last. contains important tools for adjustment: flywheel crankshaft camshaft fuel injection pump shaft belt pulley tensioning of the timing belt complete. View More In Timing Belt Tools. contains important tools for adjustment: flywheel crankshaft camshaft fuel injection pump shaft belt pulley tensioning of the timing belt complete. 2.0 ltr. 20 V (Coup? This is the ultimate master Engine Timing Tool Kit for Alfa Fiat Lancia. Includes all tools required for camshaft alignment tensioning and crankshaft alignment to cover a wide range of petrol and diesel engines packed in blow moulded case with bespoke foam insert with perfect indents for every tool in the collection. If you have any questions about this product by Ctool, contact us by completing and submitting the form below. If you are looking for a specif part number, please include it with your message.